Everyone should be selling online these days so if you’re exploring internet merchant account options to find out the right way to do it, read on. Even if you have a retail location there are practical uses to using an internet merchant account or payment gateway to accept transactions from your customers. We’ll go over some considerations here that will make it easier for you to digest the components of managing an internet merchant account. Processing payments online is merely a virtual method of accepting credit card payments from your customers. The transaction flow follows the same cycle as it would with a retail merchant account except that the payment is obviously initiated from a website or online portal. Since the transaction cycle is the same for both retail and internet merchant accounts, the big difference is just that an internet merchant account is hosted in a virtual platform: the internet. Yes, you can use them all (or any combination of them) to process payment from your customers. If those devices can connect to the internet, you can access the webpage or app that you need in order to process the payment. Unlike retail terminals like the Verifone vx570 the internet is a more versatile source to process transactions. It also has a greater reach than a point of sale device that only sits in one location. Obviously if you have an internet store your customers can be across the country and buy from you with the same confidence that they could if they were to come into your retail store and it’s a great opportunity to take advantage of. 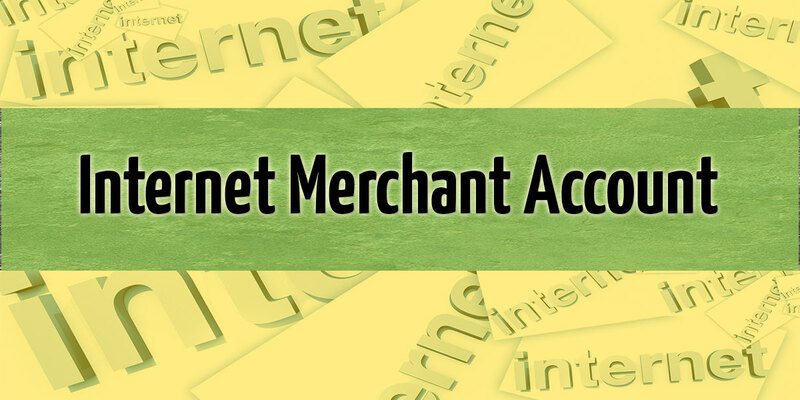 The rates for an internet merchant account are roughly .50% higher than those of a retail merchant account. The reason for this difference is that all transactions made online are in a card not present environment, according to Visa/Mastercard interchange guidelines. Simply put, the customer is entering their own card number into your online shopping cart rather than handing the card to an employee of your company to process. The risk is greater for the card issuing bank and so there is a higher discount rate attached to it. If you’ve seen “Payment Gateway vs. Merchant Account” articles on blogs or other websites, hopefully the article(s) that you read steered you to the conclusion that they work hand in hand. You don’t get one or the other, you need BOTH. A payment gateway is like an online credit card terminal. It’s merely a web based software that produces the interface for you and your employees to enter a customer’s credit card number for a sale. It acts as a virtual (and secure) door that your customer’s money must pass through in order to be processed and deposited into your bank account. You cannot process transactions online without using a payment gateway AND a merchant account. Some gateway providers like authorize.net offer merchant accounts WITH their gateway services where others, like NMI.com work only with independent merchant account processing companies. So this means that you could go to authorize.net directly and sign up for a gateway AND a merchant account where you would have to be introduced to a gateway like NMI.com through a merchant account professional that has the license and ability to offer it to you. On the flip side, all merchant account providers will have a preferred payment gateway to offer you. The shopping cart solution is the next step toward having a total ecommerce business solution. The merchant account plugs into the payment gateway, and the payment gateway plugs into the shopping cart. It provides the look and feel for your customer’s buying experience. It’s the design of the pages, the pricing options, and the sequence of steps your customer must take to buy from you. It’s literally your online store. My recommendation is to buy an “off the shelf” solution from a provider like 1shoppingcart.com unless your business has the capital and resources to have a custom built solution via your IT department or team of webmasters. *Note: You don’t have to have a shopping cart solution to process payments online. You only need a merchant account and a payment gateway. Additionally, some shopping cart providers act as a payment gateway as well, so in that case you can simply sign up for a merchant account and a shopping cart/gateway solution and you’re ready to go. Chargeback risk is higher with an internet merchant account than it is with a retail merchant account and thus the rates are about .50% higher than retail merchant account rates. However, the reach of customers is vastly larger than a retail environment so if you’re marketing department gets your website out there, you’re likely to make a lot more sales. Remember that a payment gateway works along with a merchant account and you need both of them to properly accept credit card payments from your customers.